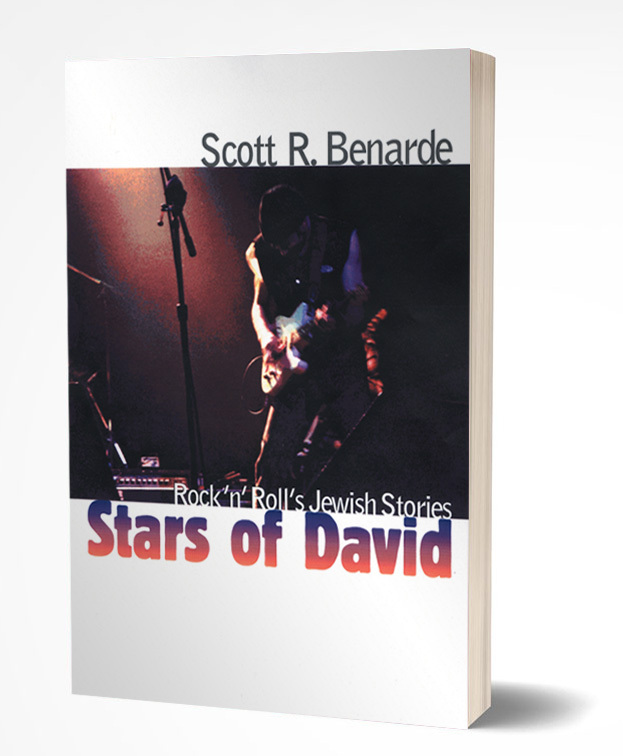 About "Stars of David: Rock 'n' Roll's Jewish Stories"
I wrote Stars of David: Rock 'n' Roll's Jewish Stories because the time was ripe and right for a book that chronicled the contribution of Jewish singers, songwriters and musicians during the rock era, and also shed light on the surprising influence and impact Judaism has had on the music and those who made it and still make it. These were areas that simply hadn't been explored in much breadth and depth. It was time to illuminate the fact that Bob Dylan was not the only rocking Jew on the planet, that the Jewish contribution to the music runs deep, and like the Jewish people, is Diaspora-wide. It includes not only household names like Dylan and Billy Joel, or fabled songwriters such as Jerry Leiber and Mike Stoller, but many of the most sought after studio musicians; unsung but vital musicians who back-up rock's superstars, and members of some of rock's most beloved and influential bands. These stories needed to be told. These people deserved credit for their accomplishments. The Jewish influence on the musicians and the music had to be revealed and stated for the historical record. Our children, and our children's children should know these stories. They should be as aware and proud of the contribution in this field as they are of Jewish Nobel Prize winners. More importantly, they should know what the sum of these stories mean: You can rock 'n' roll and have your Judaism, too!